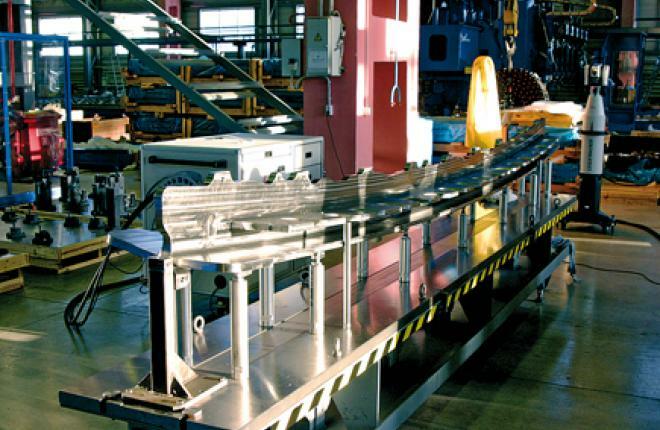 21.07.2014The Russian metal specialist VSMPO-AVISMA, one of the world’s leading aerospace titanium manufacturers, is planning to expand its production capacities. 16.06.2015Technodinamika heavily invests in the development of new products within its network of design centers. 16.06.2015Ukrainian aircraft manufacturer Antonov has commenced flight trials of the transport version of its An-148 regional jet. 16.06.2015Ilyushin Finance Co. wants to reformat its order for 39 CS300 airliners. 16.06.2015Russia and China has officially launched the joint development of a new heavy helicopter with a framework agreement signed in early May between the Russian Helicopters holding and Aviation Industry Corpo - ration of China (AVIC). 16.06.2015Russian Helicopters looks to boost sales of its civilian products. 16.06.2015Sukhoi Civil Aircraft Company is now seeking new ways to boost sales. 11.11.2014Russia’s United Aircraft Corporation (UAC) and its Chinese counterpart, Commercial Aircraft Corporation of China (COMAC), are looking to complete a feasibility study this fall for the joint development of a new widebody commercial airliner. 11.11.2014On October 16, Russian Helicopters successfully con­ducted the first flight of the Mil Mi-38 medium helicopter’s pre-production prototype. 21.07.2014The Russian Helicopters holding, a merge of national rotorcraft manufacturers and designers, continues work to develop new helicopter models. 21.07.2014The new widebody airliner will target the Russian and Chinese markets and will also be offered to third countries.